Speaking Irish/English on St Patricks Day. – My thoughts on a page. 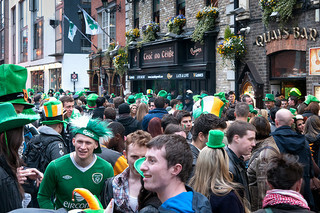 Speaking Irish/English on St Patricks Day. Here in Ireland we speak English, but not as you know it. I am aware that many of you who read my blog do not come from here, so as I did last year, I thought I’d give you a crash course in speaking English as we Irish do. Just in time for St Patricks Day. For starters we will tackle The introduction. Hi, how are ye. (It’s ye, not yee) but if you wish to really sound Irish you must roll it into one word, “Hihowareye”. Hi any craic? or What’s the craic? We are also prone to sentiment. Feck is possibly our most common. We use it with everything, or maybe that’s just me! Feckin weather, traffic, headache, husband. We also regularly use religious expressions, even if we are non believers, to express annoyance, surprise, pain etc. I’ll elaborate on these in order to help you understand there is no prayer involved. (I think I used almost all of these today at some point). Jesus, Mary and Joseph.. what the hell are you doin? Oh my God… were you watchin that fella on TV last night? For God’s sake… I’m pig sick of you moaning. For Jaysus’ sake… look at that eejit over there. In the name of God... will you ever shush and listen to me. Sweet Jesus…what have I done? Here is an example of a possible conversation which I posted last year, in which you can see our English in action. Mary; How are ye June? Mary : Not so bad. Did ye hear me news? I’m engaged. June: I heard. Congratulations, are ye thrilled? Mary : Ah I am really. I’m mad about Jack. June :He’s some looker, I wouldn’t kick him out of bed for eating crisps. Mary : You still with Sean? June : No chance. That fecker. I wouldn’t be seen dead with him. Mary : Sorry to hear that, but he was thick as a brick, wasn’t he? June : Definitely not the sharpest tool in the box. I hated his ma too. She was a right oul cow. Mary; Ye she’s hard goin alright. And the state of her. Jaysus she thinks shes 20! Mary : Do you fancy a coffee, or a bite to eat? June : I’d love it, I could eat the leg of a chair. Mary : Since I got preggers I’m eatin for Ireland. Mary : We will ye, even the flies leave that place! June : We’ll head to Bewleys so. Mary : Great. Listen I’ve to get some dosh so I’ll meet ye there. June : Ok so. See ya. Just to make sure you are getting it, here’s another for you. Sean: Hi Johnny, “hows it going?”. Johnny: Good Sean boy. Any crack? Sean : Jaysus no, nothing happenin. And you? Johnny : No, heard that feckin eejet Jack, has Mary up the duff. Sean : He’s an awful gobshite that fella. If she was my sister I’d break his face. Johnny: Ye. Shes cracked about him though. Sean: She’s not so bright, God love her. Johnny : Her ma is loosin the plot over it. Sean : Ah her ma’s a mad cow. Johnny: Oh and thanks for giving me the nod about that job. Fair play to ye. Sean : Not a bother. Did ye get it? Johnny : I did ye! Didn’t come close I’d say. Sean : Aw not to worry. Were you disappointed? Johnny : I was in me arse! Sean : Ah good. I better be off. Johnny : Right, no bother. See ye around. So there you have it. You are now ready to speak to your Irish friends tomorrow, and join in the craic of St Patricks Day. 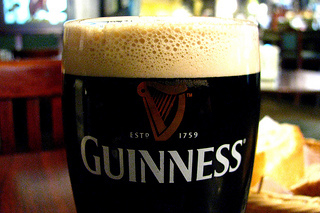 By the way, rumour has it over here, that those of you living in the US are known to refer to it as Patty’s Day. Let me tell you that is a serious no no. Patty is a girls name, so if you must shorten it, it can only be Paddys Day, or better still as I know it …. MY BIRTHDAY! Happy St Patricks Day where ever you are. Haha well done. Feck is a great word alright. Love Mrs Brown. I’ll have to google Jimeoin. 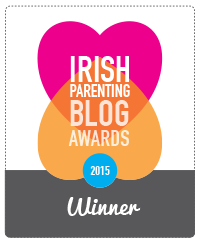 Pingback: Irish Parenting Bloggers | Speaking Irish/English on St Patricks Day. Love this. I may use some of your suggestions in one of my posts tomorrow. Thanks! Thanks Linda. Plenty of Irish English to choose from. Happy St Patricks Day. Thanks Grainne, I’m looking forward to it. Wonderful post! 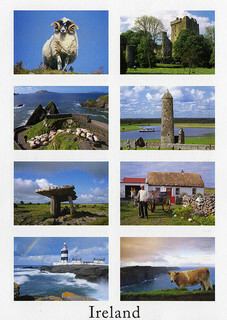 One day I hope to come to Ireland and test my knowledge of English/Irish! A very happy birthday to you, too! Glad you enjoyed it. Happy St Patricks Day. I am intrigued by different dialects and lifestyles/cultures than what the Midwestern states offer. Thank you for giving me some more Irish English dialect. I have to admit, I still am not sure what the feck ye said! Ah Deb I’ll have to put you in my beginners class! You copped on to the Feck pretty quickly I have great hopes you will eventually be fluent. Happy St Patricks Day. 😊 and happy birthday to you, me friend! I think Scotland and Ireland are way more connected than most countries. Thanks for the birthday wishes, I’d a lovely day. Glad you enjoyed it, I love listening to a conversation rich in Irishisms. Irish AND born on the 17th? You’re celebrating well today I hope Tric!!! Happy Birthday!!!! I hope it’s a good one!!! Thanks Colleen. I’m raising a glass as I type. I’d a lovely day, full of spoiling, with a parade thrown in. Thanks Alex. I hope you had a good St Patricks Day. Thanks Patrick. I hope you had a good St Patricks Day. Happy birthday Tric! Hope you’ve had a great day and fun celebrations with some good wine!! Thanks Lucia, I’d a great day and I’m enjoying the wine as I type. I hope you’d a good St Patricks Day on your beautiful island home. gosh i love these and thanks for some new expressions. happiest of birthdays to you, tric and st. pat’s too. it’s a big irish neighborhood in downtown detroit. i’ll look for you there! I love all this Irish speak, here. Reminds me of my grandmother. Happy Birthday Tric. Thanks. Where was your Grandmother from? I am researching on Ancestry.com. I’ll have to let you know. In stitches heaaaaare! I will ye is my number one saying along with alot of curse words including feck. I love this!! Glad you enjoyed it. I do love that one alright, but feck before everything is my usual.